A Diamond Select Toys release! 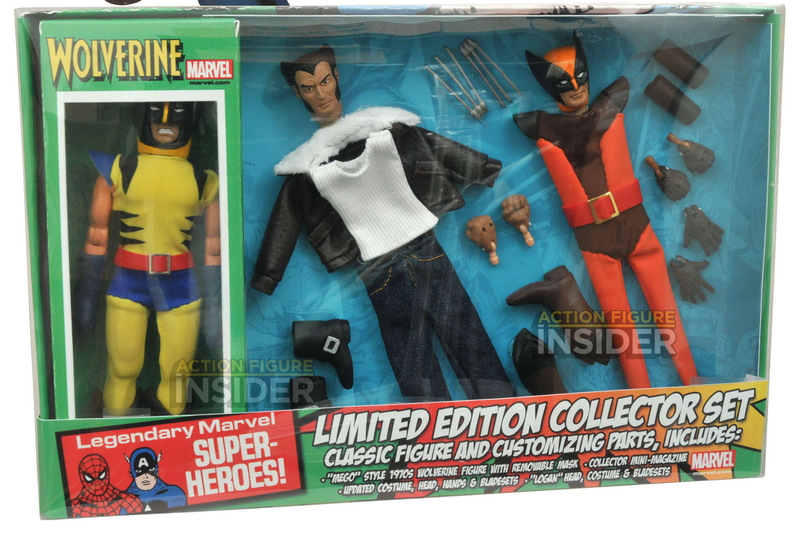 The third Mego-style Marvel action figure to make a comeback is none other than… Wolverine? But Wolverine never got an action figure in the 1970s! 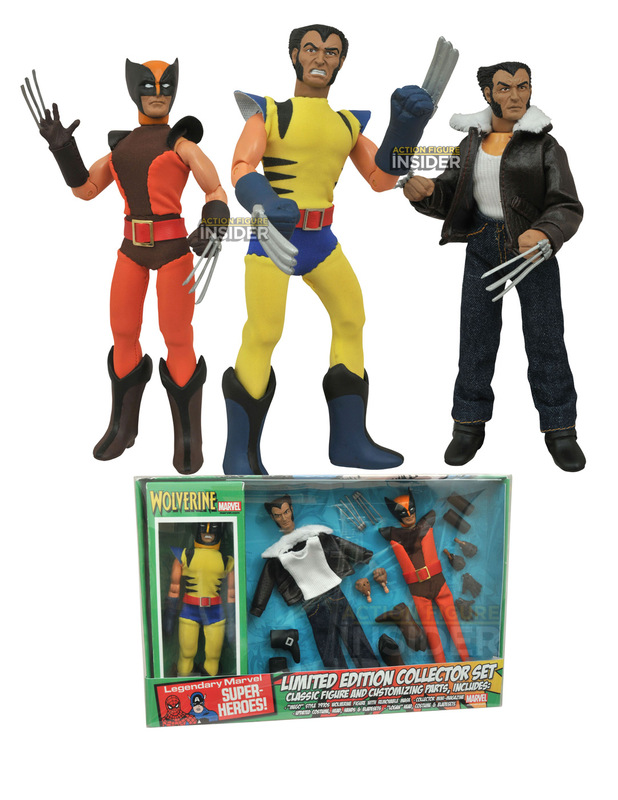 Well, DST has re-created what a 1970s Wolverine action figure would have looked like, and built a whole box set around it! The vintage-style figure wears his classic blue-and-yellow costume, with removable mask, and you can switch it out for a more modern-style brown costume or Logan’s civilian togs, each with their own unique head sculpt! Plus, the interchangeable hands have detachable claws! The set includes a vintage-style window box, as well as a booklet about the history of Wolverine in comics and toys, all packaged in a displayable gift tray. This set is limited to 3,000 pieces. Designed and sculpted by EMCE Toys! Pre-ordered it from BBTS. Very cool. It would have been a home run release if they would have included a switch out head with his first appearance mask via Hulk180/181.